Spider-Man: Homecoming Latest Trailer Expands Peter's Predicament - Are You Screening? Spider-Man: Homecoming is fast approaching and while there is a lot of information about the general idea of the plot, it isn’t surprising that fans are getting a little antsy. I’m not sure we’ve moved into an area that really satisfies with the latest trailer, but we’ve got to leave something for the movie. 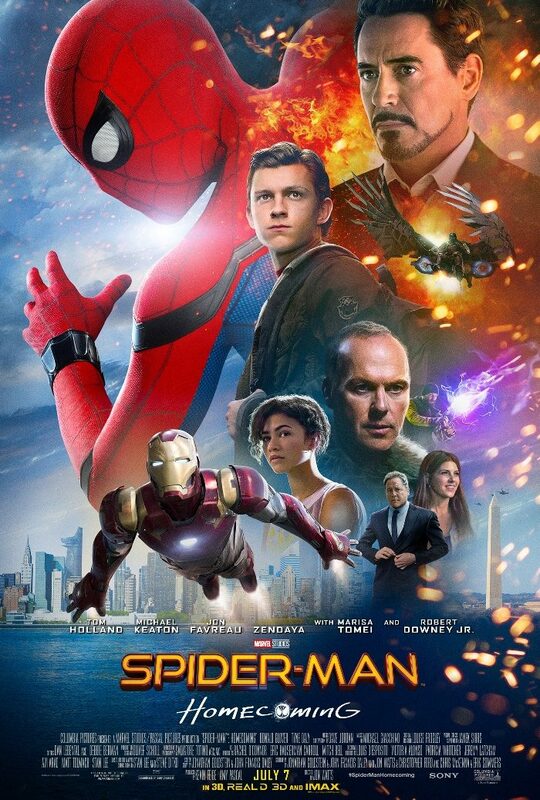 What is becoming more clear as more is revealed is that this is going to be a film that really does attempt a return to the earliest ideas of Spider-Man, whether one remembers that as being the original comics, or the Saturday morning cartoon. High School life plays a significant role in things, as does Peter’s doubt, and though there are clearly serious villains involved in the general scheme, there’s something a little… “cartoon danger” about them. The new trailer lets us in on more of the suit’s abilities and that’s actually a nice turn for the franchise. Considering the universe that Spider-Man has to exist in now, offering up some level of plausibility makes sense. Perhaps most importantly, the new trailer gives us more detail on the variety of Tom Holland‘s version of the character, clueing us in on the potential depth that we’ll get with this iteration of the web-slinger. There’s a lot of room to maneuver within the broad idea that the character is going back to a teen incarnation, and there’s a lot of potential for High School hijinx to devolve into an excuse for tired themes and stereotypes. It looks like we may be getting something worth the effort here. Unfortunately, Michael Keaton and cool gadgetry aside, Vulture still seems a little goofy. One of the problems that the Marvel Universe films have already run into is that explaining solo efforts is tricky. With Iron Man already playing a prominent role in the trailers, and Captain America appearing in the credits, it’s difficult to know how we balance trying to keep Peter’s training wheels on with the fact that the Avengers don’t show up to take out this threat. Plus, while metal claws, wings, and jetpacks make for a great prop piece, it just looks weird. It’s going to be hard to explain Peter’s inability to just tear Vulture in two after holding a giant ship together. Take a look at the trailer above, and let us know what you think of this one.